The Geovision 94-NC7C4-C32 is a UVS Cube Hotswap NVR Series that allows connection of 32 cameras on individual channels. It is equipped with Intel i3/ i5 /i7 processor and 8 GB of physical memory. This professional grade network video recorder comes pre-installed with Win 7 OS for offering increased functionality and serviceability to the device. This high precision video recorder works on 64 bit architecture and is essentially a performance based machine. It features a Cube Hotswap design and 8 GB of physical memory for high efficiency task handling. These high quality 32 channel surveillance device features 500 GB (SSD) System HDD for large local storage and the storage can be expanded using add on HDD. 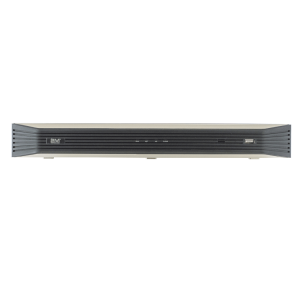 With its high end specifications, this standalone NVR makes for a high end surveillance system for home and commercial purposes.